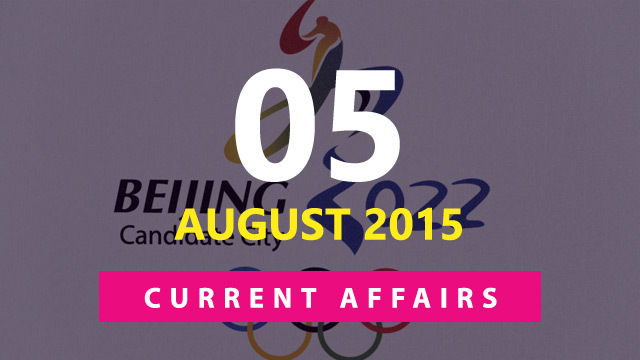 Friends..Here are the Important Current Affairs Updates for 5 August 2015. We haven’t covered important happenings for the last few days & apologies for that. 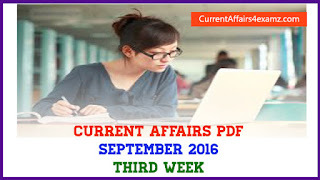 But don’t worry..we will cover them in the upcoming weekly pdf and daily quiz series. Hope you are finding interest in our Quiz Website. --> The Ramanujan Prize for 2015 has been won by mathematician Amalendu Krishna of the Tata Institute of Fundamental Research, Mumbai. --> The prize is awarded jointly by the International Centre for Theoretical Physics (ICTP), Italy, the Department of Science and Technology, Government of India, and the International Mathematical Union (IMU) to a person under 45 working in a developing country. --> He has been bestowed with this award for his outstanding contributions in the area of algebraic cycles, algebraic K-theory and the theory of motives. --> Presently, Dr. Krishna is mathematician professor at the Tata Institute of Fundamental Research (TIFR), Mumbai. --> Multi-Application Solar Telescope (MAST), Asia’s biggest telescope was inaugurated at the Udaipur Solar Observatory in Rajasthan. --> It was inaugurated by Professor U.R Rao, Chairman of Physical Research Laboratory. --> The telescope was installed under the project undertaken by Union Ministry of Science and Technology and was funded by Department of Space (DoS). --> Raghuram Rajan, the Governor of the Reserve Bank of India (RBI) on 4 August 2015 presented the 3rd Bi-monthly Monetary Policy Statement for 2015-16. --> Policy Repo Rate under the liquidity adjustment facility (LAF) unchanged at 7.25%. --> Reverse Repo Rate under the LAF unchanged at 6.25%. --> Cash Reserve Ratio (CRR) of scheduled banks unchanged at 4.0%. --> Marginal Standing Facility (MSF) rate and the Bank Rate unchanged at 8.25%. --> Rural Development Minister Chaudhary Birender Singh on 4 August 2015 launched SAMANVAY, a compilation of all schemes of both Union and State governments for Gram Panchayats. --> SAMANVAY was launched with an aim to help MPs in utilising relevant schemes in the planning and implementation of Saansad Adarsh Gram Yojana (SAGY). --> The sport of flying disc, commonly known as "frisbee," was officially recognized as an Olympic sport by the International Olympic Committee (IOC) on 2 August 2015. --> After meeting all the criteria to become an Olympic sport, including having 62 national federations and gender equality, the World Flying Disc Federation (WFDF) was given the nod at the 128th IOC Session session in the Malaysian capital. 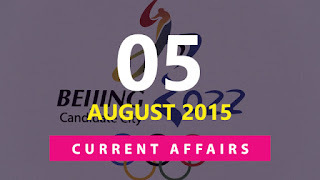 --> Thomas Bach, the President of International Olympic Committee (IOC) on 31 July 2015 announced that Beijing will host the 2022 Winter Olympics and Paralympics. --> Chinese capital was chosen ahead of Almaty, Kazakshtan at the 128th IOC session in Kuala Lumpur, Malaysia. --> Beijing thus became the first city to host both the Summer Olympics and Winter Olympics. --> It hosted Summer Olympics in 2008. --> Hindi litterateur Kashinath Singh was on 3 August 2015 chosen for the Uttar Pradesh's highest literary award Bharat Bharti for the year 2014. --> The award is given by UP Hindi Sansthan every year. --> It carries a cash prize of 5 lakh rupees. --> IDFC Bank is set to start lending operations from October 1, 2015. --> The stage is set for this with the Reserve Bank of India (RBI) granting IDFC Bank licence for undertaking banking business, said IDFC in a notification to bourses.